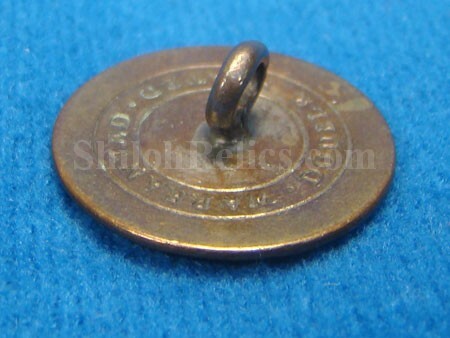 This is a gorgeous silvered 1 piece coat Size New York button. 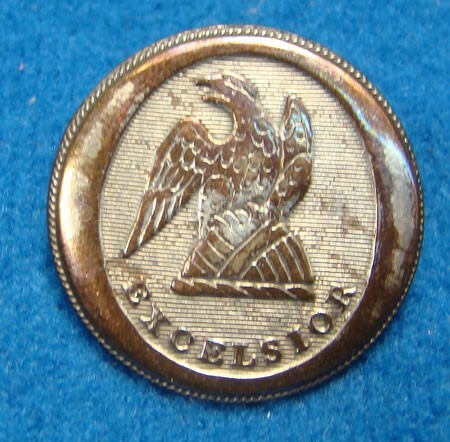 This one has the eagle perched on the front with the word "EXCELSIOR” around the bottom. The face of the button has a superb amount of the original silver as you can see. The back has the backmark that is nice and clear ”DOUBLE PLATED WARRANTED”. 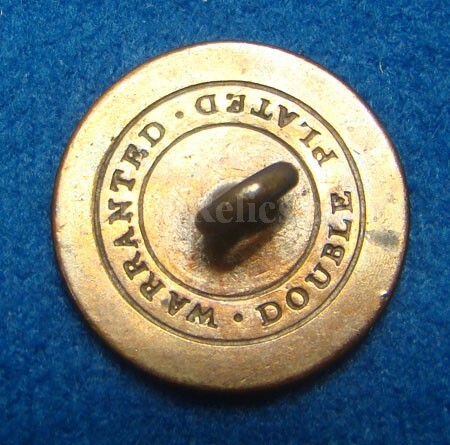 This is the pattern of button listed in Albert’s button book as NY10 and in Tice’s button book as NY100. The shank is present on the back as you can see. 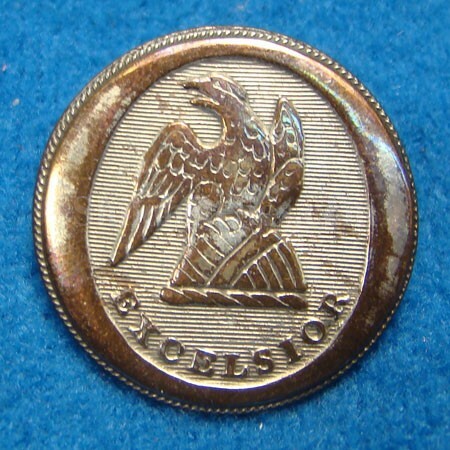 It is a beautiful non-excavated silvered 1 piece New York button.